Damage to the brain after a stroke can cause many cognitive changes. Doing things that once were easy may now be hard. Problems with memory and thinking are very common after a stroke and most people will have some difficulties. After a stroke, cognitive rehabilitation can aid the mind just as physical therapy aids the body, according to Psych Central, an online mental health and psychology network. 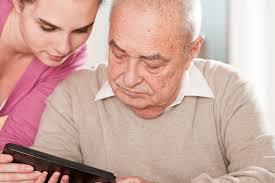 The purpose of cognitive therapy is to improve damaged mental abilities and language skills caused by a stroke.